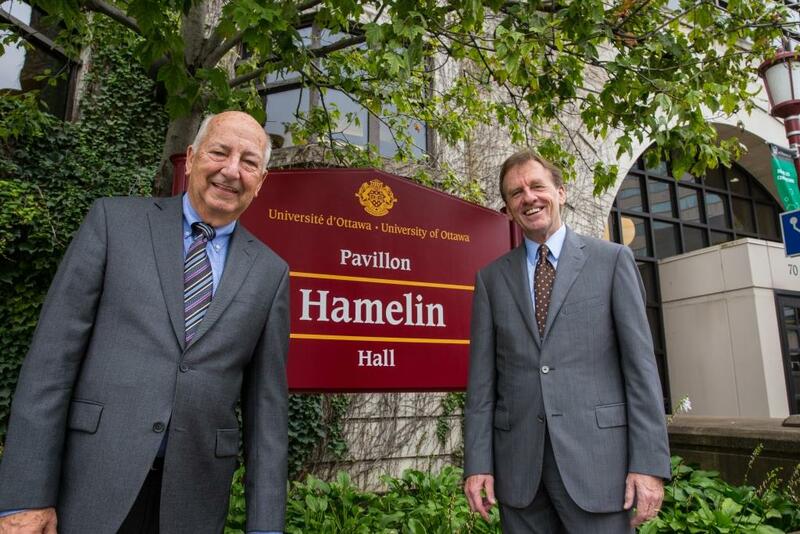 The Arts Building, in which OLBI as well as various Faculty of Arts Departments are located, will now be known as Hamelin Hall in honour of Marcel Hamelin, the man who inaugurated the building in 1996. Mr. Hamelin has risen through the ranks over the last 50 years, occupying one prestigious leadership position after another, ranging from Director of the Department of History, to Vice-Dean of the Faculty of Graduate Studies and Research, to Dean of the Faculty of Arts and finally, President and Vice-Chancellor. As President, from 1990 to 2001, he maintained and improved the quality of the programs while preserving the bilingual nature of our institution. Under his leadership, the University was transformed into one of Canada’s leading research-intensive universities. A builder, Mr. Hamelin played a key role in the development of a modern campus, both from an architectural standpoint and an academic one. Hoping to see you soon in Hamelin Hall!